What better way to recognize and honor America's funniest moments and greatest laugh artists than an insightful, anecdote-laden multimedia presentation that allows readers and viewers to fully experience the sharpest comedians throughout broadcast and film history. That's exactly what Made You Laugh! offers, as author Joe Garner applies his magic touch to one of America's most treasured forms of entertainment.Joe's insightful text, original videotaped interviews, and choicest clips from radio, comedy variety shows, sitcoms, stand-up routines, and classic films instantly remind readers of some of the most fun-filled times of their lives. It shows why they love to laugh-and why a great joke is a thing of lasting beauty, at least until the next side-splitter comes along. 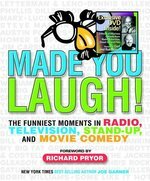 The book is divided into three main sections: The Funniest Moments from Radio and Television, The Funniest Stand-up Moments, and The Funniest Movie Moments. 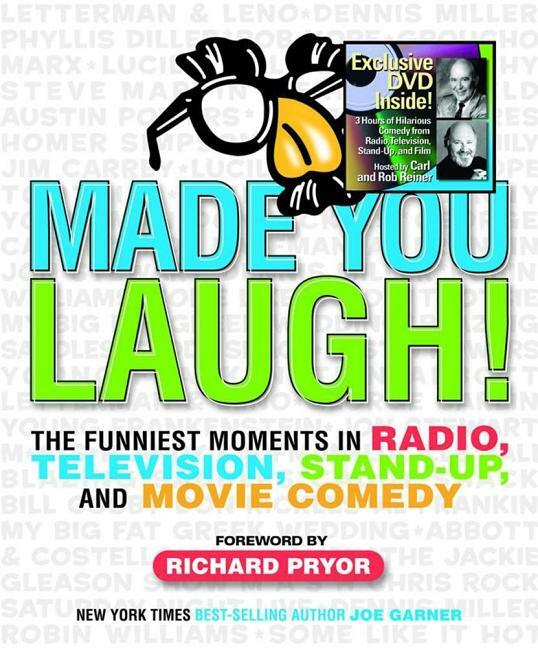 Chapters throughout give readers a hearty chuckle while providing rare behind-the-scenes glimpses into favorite entertainers and their work, complete with firsthand memories from the comedians, writers, and producers who were there. The accompanying DVD, hosted by a major comedy talent, includes the actual audio/film clips of the particular memorable moment along with original videotaped and archival interviews. It all adds up to one seriously successful look at the world of laughs!